Have you ever Googled your website to find you’re no longer on the first page? Sure, you may have been on page one last month, maybe in the top 5, but SEO is constantly evolving and with it so are your rankings. There are a number of factors that can contribute to the success of your website, and luckily identifying areas for improvement is something you can do even if you aren’t a pro. In this post I’ll start by introducing you to a simple SEO audit that you can conduct and tools you can use to simplify your process. It might sound pretty basic but accessibility often one of the most overlooked aspects of auditing your website. Start with checking your website is visible – not just for users but for search engines too. You could have the best website in the world, but if your customers can’t access it then it might as well not exist. Fortunately, you don’t need to sift through your website and manually click each page and track the failures. There are a number of ways to check accessibility from using a crawling tool such as Screaming Frog’s SEO Spider to checking your website’s robots.txt file, meta tags and HTTP status codes. Your site structure determines the success of your websites SERP listings and rankings. Basically, the easier it is for search engines to find and index your website, the higher you’ll climb up the SERP page. And let’s not forget about the all-important User Experience. A website with incoherent structure is likely to displease your customers, which in turn leads to high bounce rates, poor click-through rates and a low time spent on your website. Ideally, your website architecture should be as flat as possible, letting users get to where they want to in as few clicks as possible. Next up in your SEO check is the content on your website. The content on your pages needs to be topically relevant, grammatically correct valuable to your target audience. Some of the key things to check include readability, keyword targeting, spelling, grammar and content length. Headers, meta tags, descriptions and image tags need careful consideration when carrying out your audit. 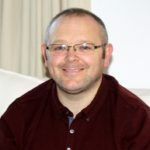 Ask yourself if each header is unique to the page it represents and does it offer a comprehensive overview of what the page is about? 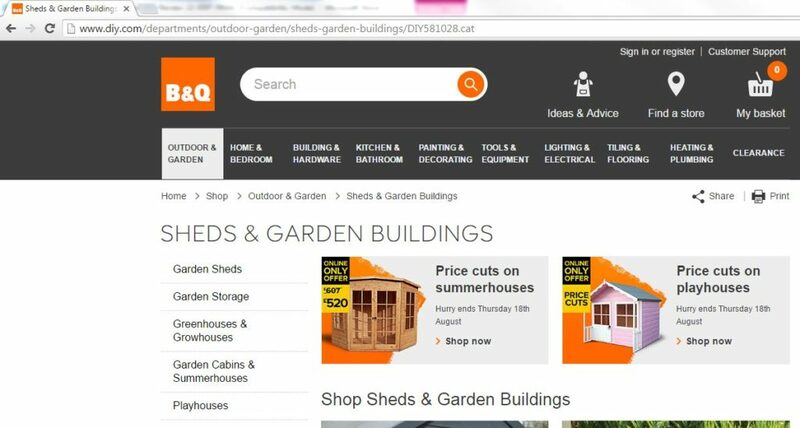 A simple formula for a successful page is ‘keyword phrase | context’ as shown in the B&Q example. The keyword is ‘Sheds & Garden Buildings’ the context is ‘Garden Storage.’ These are both phrases which are then repeated throughout the page. As one of the biggest SEO ranking factors, links are an important factor in determining how well your website performs in the search engines. The higher the relevance of the links you get to your website the more weight they will carry. You can check the links back to your website using Google Search Console where you will be able to see external as well as internal links on your website. If the majority of your links are coming from a few domains and you have a high percentage of keyword rich anchor text then this might be a sign that you have an unnatural link profile which could be causing your website to rank poorly. Unfortunately taking steps to reduce page speed is a task that can become quite technical, you might be best bringing in the help of your developer at this final stage. Some of which include; compressing images, minimising HTTP requests and reducing server response time. Now you have your groundwork done, you know what you need to do to get your optimisation in order. You’ll need to tend to your website and keep an eye on signs of growth. Pay attention to improvements in the quality of traffic to your website. Lower organic bounce rates and a higher average time spent on site are both signals to learn from.